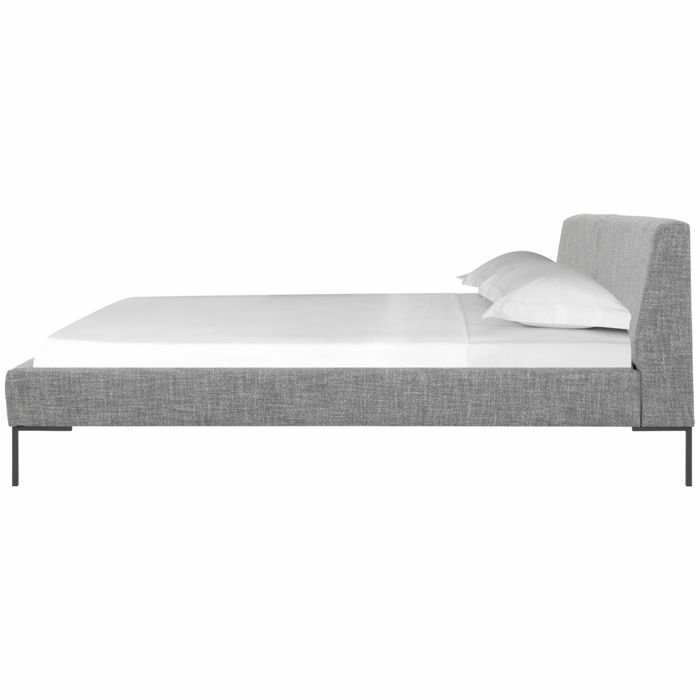 Featuring clean lines, this modern bed is upholsterd in leather. Mattress to be purchased separately. Vacuum weekly with a soft brush. Blot spills immediately with a clean cloth, do not rub or try to clean with harsh chemicals. Avoid exposure to direct sunlight and heat, this could cause fading and discolouration. Professional cleaning is recommended. Available in double, queen and king size in sand and concrete leather. 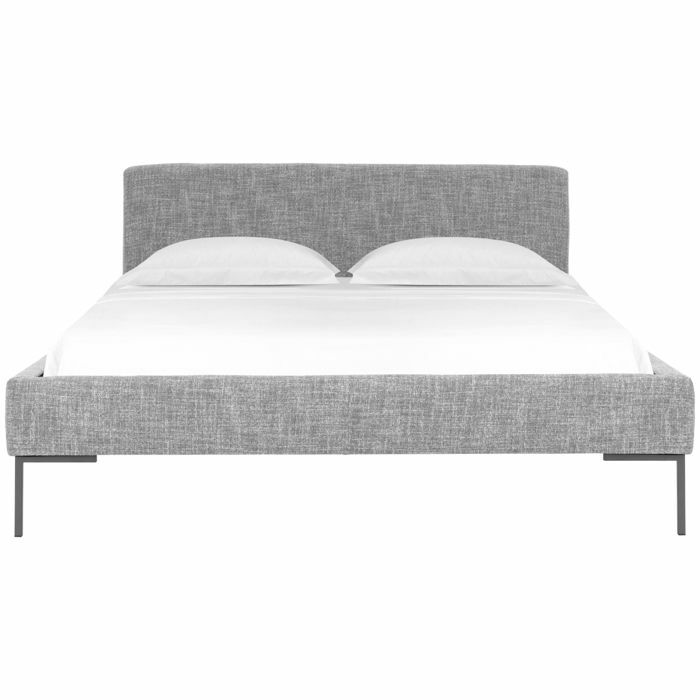 This bed is available in queen and king. Relaxed luxury with low, plushly upholstered frame and back cushions. Only available in extra length. Mattress to be purchased separately – available in store.